Every medical practice of any size must establish and utilize surrogates for provider enrollment, but it’s surprisingly complicated—if done wrong, it can cost the practice man-hours and even billings. By mastering the process, you can save yourself and your practice considerable time and administrative resources. Join expert speaker Gretchin S. Heckenlively, CPA, FHFMA, for our 90-minute webcast. At the end, ask your questions during a live Q&A session with the speaker! Gretchin S. Heckenlively, CPA, FHFMA, is a partner in the healthcare consulting division at Seim Johnson, LLP. She graduated from Doane College in 1997 with a Bachelor of Science in Accounting and Finance. She joined Seim Johnson in 1997 in the healthcare audit division, providing audit and Medicare/Medicaid cost report services on over 100 engagements. She left in 2006 to pursue an opportunity as chief financial officer of a critical access hospital, where she gained valuable experience in both the financial and clinical arenas of a hospital. Upon rejoining Seim Johnson in 2010, Heckenlively brought her understanding of the healthcare environment to the consulting division. Her focus since rejoining the firm has been on Medicare and Medicaid provider enrollment, Medicare provider-based issues, and reimbursement. Heckenlively has given many presentations on a wide range of healthcare and not-for-profit related topics at a local, state, and national level, and currently serves on the CMS Central Office PECOS focus group. 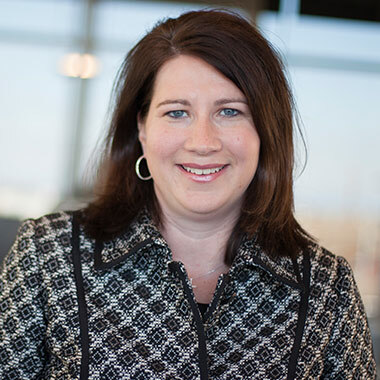 In addition, she is an active member of the Healthcare Financial Management Association (HFMA); she is past president of the Nebraska chapter and currently serves as the treasurer of HFMA Region 8. No problem. The On-Demand version will be available. Use it as a training tool at your convenience—whenever your new or existing staff need a refresher or need to understand a new concept. Play it once or dozens of times. A $199 value!